The 2017 Red Bull Global Rallycross season kicks off at Memphis International Raceway with a brand new event. Volkswagen Andretti Rallycross driver Scott Speed aims to start his bid for a third straight championship on a high note, but a deep field, led by teammate Tanner Foust, will be looking to make a statement with a strong showing in the opener. 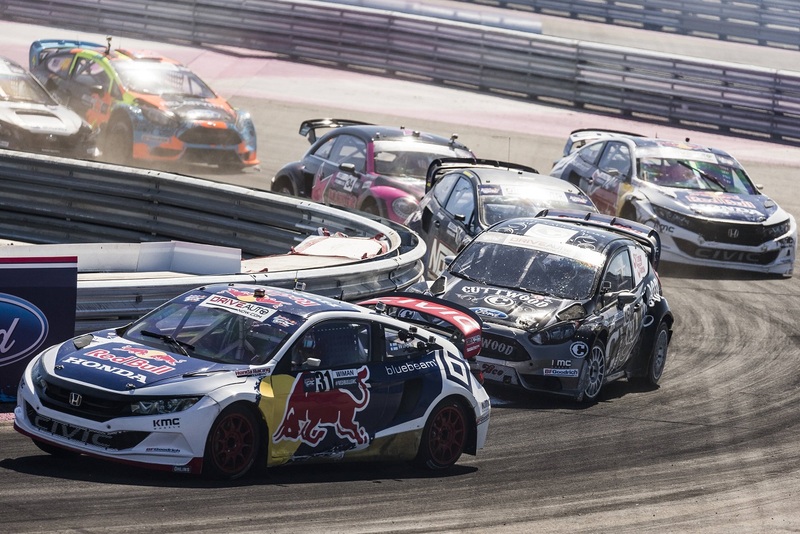 NBC Sports will broadcast the Red Bull Global Rallycross event from Memphis, Tennessee on Sunday. Fans can catch all the action in spectacular high definition via NBC Sports online at NBCSports.com/Live, or through the NBC Sports app which is available on the iTunes App Store, Google Play, Windows Store, Roku Channel Store, Apple TV and Amazon Fire. LAST RACE: Scott Speed won his second straight Red Bull GRC title over Tanner Foust in a head-to-head battle at the Port of Los Angeles. With the title going to the higher-finishing driver, Speed held second over Foust for much of the race before getting past Patrik Sandell for the lead. While Brian Deegan leapfrogged the entire trio in the Joker Lap, Speed’s second place was still good enough to earn the championship over Foust’s fourth. Honda Red Bull Olsbergs MSE will run three full-time cars, retaining Sebastian Eriksson but also promoting Mitchell deJong to full-time status and moving Oliver Eriksson up from GRC Lites. Subaru Rally Team USA will add three-time Supercar race winner Patrik Sandell to its lineup, joining Chris Atkinson, who made his debut with the team last year in Atlantic City. 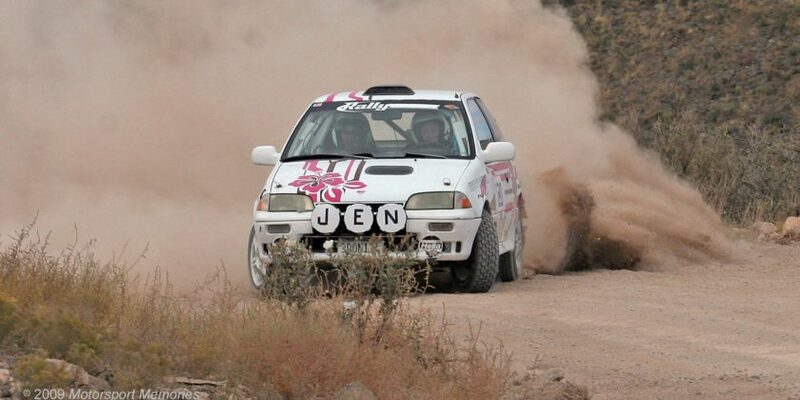 Bryan Herta Rallysport has promoted 2016 GRC Lites champion Cabot Bigham to its single-car entry, replacing Sandell. After running his own team in 2016, Austin Dyne will take the wheel for Red Bull GRC newcomers Rahal Letterman Lanigan this year. The storied race team boasts multiple open-wheel and sports car championships, and a win at the 2014 Indianapolis 500. Loenbro Motorsports takes over full ownership of its Supercar team from 2016, as the team attempts to improve on last year’s third and fourth place championship finishes. Steve Arpin returns as both driver and general manager. Finally, Volkswagen Andretti Rallycross returns with its championship-winning pair of Scott Speed and Tanner Foust intact. THE TRACK: This weekend’s layout is a 1.18-mile, 11-turn course featuring a mix of steep banking, multiple paved and loose surfaces, and signature Red Bull GRC elements including a 70-foot jump! Click here for more information. SPEED SHOOTS FOR THREE TITLES IN A ROW: It came down to the wire, but Scott Speed successfully defending his 2015 Red Bull GRC title last year with Volkswagen Andretti Rallycross over teammate Tanner Foust. In 23 starts over the past two years, Speed has a whopping six victories and 17 podium finishes, and managed to claim last year’s crown despite Foust setting an all-time record with 27 heat and semifinal victories in a single year. The Formula 1 and NASCAR convert will have the target on his back from everyone else on the grid all year long. SUBARU, HONDA TAKE AIM AT VOLKSWAGEN: Subaru Rally Team USA and Honda Red Bull Olsbergs MSE have reloaded in a big way to take the fight to Volkswagen Andretti Rallycross in both the driver’s and manufacturer’s championships. 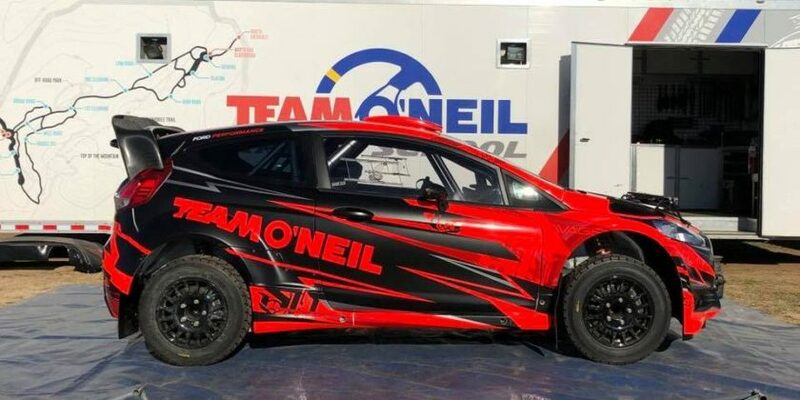 OMSE returns to three full-time cars for the first time since 2013, with 2014 and 2015 GRC Lites champions Mitchell deJong and Oliver Eriksson pairing up with Sebastian Eriksson. Meanwhile, Subaru lured Patrik Sandell, last year’s fifth place finisher in the final standings, away from Bryan Herta Rallysport to pair with World Rally Championship veteran Chris Atkinson. NEW RACE FORMAT IN PLAY FOR 2017 SEASON: The 2017 Red Bull GRC season will feature a brand new competition structure designed to create more exciting competition throughout each race weekend. Three rounds of five-lap heats, with fast qualifiers and previous round winners all grouped together, will lead into the traditional six-lap semifinals, four-lap last chance qualifier, and 10-lap final. A revised point system also awards more points for the additional heat rounds. Click here for more information. IN BRIEF: Racing alongside their Supercar counterparts, a deep GRC Lites field will attempt to make some noise in the 2017 season opener at Memphis International Raceway. With the past three Lites champions now racing Supercar, the sport’s future stars have their eye on a promotion for 2018—and a strong showing in Tennessee will be a good start to the process. LAST RACE: Dreyer & Reinbold Racing driver Cabot Bigham was under the gun coming into the season finale at the Port of Los Angeles as the final driver on the main event grid. But when a first-lap incident knocked out fellow title rival Miki Weckstrom and sent points leader Oliver Eriksson to the back of the pack, Bigham carved his way up to second place, and then inherited the lead when teammate Alex Keyes fell out of the race. Eriksson climbed back to fourth, but it wasn’t quite enough: Bigham took the win and the title by five points, or a single finishing spot. Defending series champions Dreyer & Reinbold Racing expand to three full-time cars with the addition of Christian Brooks and Travis PeCoy from AF Racing. While Cabot Bigham moves up to a Supercar, Alex Keyes will race the full season after scoring two wins in seven starts last year. Much as it did in Supercar, Olsbergs MSE has retooled its GRC Lites driver lineup for 2017. Cole Keatts returns to the team, while French driver Cyril Raymond will look to back up last year’s European Lites championship with a GRC Lites title as well. DirtFish Motorsports promotes James Rimmer to full-time status this year, where he will join two-time 2016 winner Conner Martell in the chase for the elusive championship. CORE autosport returns to its original driver lineup from its 2016 GRC Lites debut, with Colin Braun partnering team owner Jon Bennett. AF Racing will return with veteran Alejandro Fernandez for the beginning of his fourth Red Bull GRC season, but also adds off-road and sports car veteran Burt Jenner to the team. 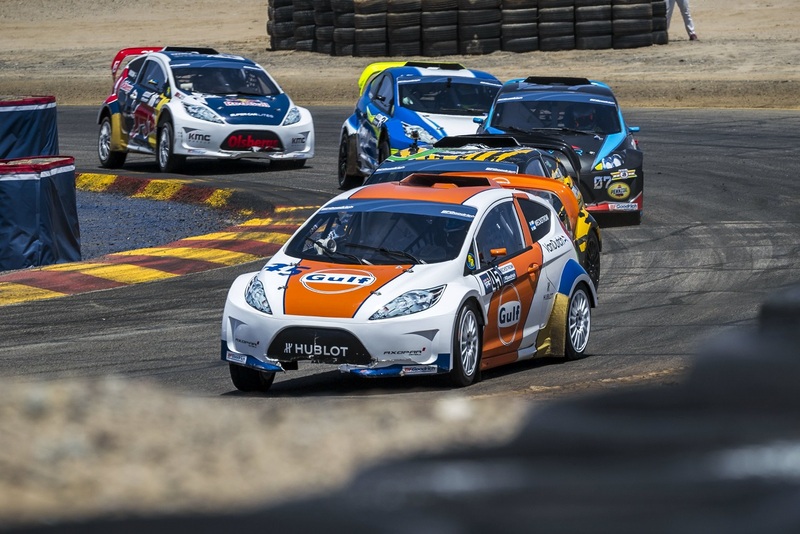 GRC LITES KICKS OFF FIFTH SEASON: Since its debut in 2013, GRC Lites has established itself as the premier development series for young rallycross drivers in the world. Each of its four all-time champions have moved up to a Red Bull GRC Supercar, while more than half of this weekend’s Supercar field can claim experience in the Lites car in various events across the globe. The class boasted six separate winners in 11 rounds in 2016, with no driver claiming more than two victories. DREYER & REINBOLD GO FOR BACK-TO-BACK TITLES: Open-wheel mainstays Dreyer & Reinbold Racing have found a home in GRC Lites, with nine race victories in 23 rounds over the past two years. After taking last year’s driver’s championship with Cabot Bigham, and after scoring more points than any other entry with Alex Keyes and Tanner Whitten sharing its famed #24 car, DRR moves Keyes back into a full-season ride this year to mount its title defense. Joining him will be Lites sophomores Christian Brooks and Travis PeCoy, as the team expands to three full-time cars while boasting an all-Californian driver lineup. GRC LITES SHAPING THE FUTURE OF SUPERCAR: Not one, not two, but each of the past three GRC Lites champions will begin their first full-time Supercar seasons this weekend in Memphis. 2014 title winner Mitchell deJong and 2015 champion Oliver Eriksson will campaign full-season entries for Honda Red Bull Olsbergs MSE, while Cabot Bigham moves up to Bryan Herta Rallysport instead of defending last year’s crown. The vacancy means that the series will crown a new champion this year—and earning the honors could be a big step towards joining the three former champions in a Supercar for 2018.